Procrastination is in the air today. We can’t help it, it’s a beautiful, clear, crisp autumn day; the sort you get after a night in which the full moon doesn’t have any clouds to hide behind. 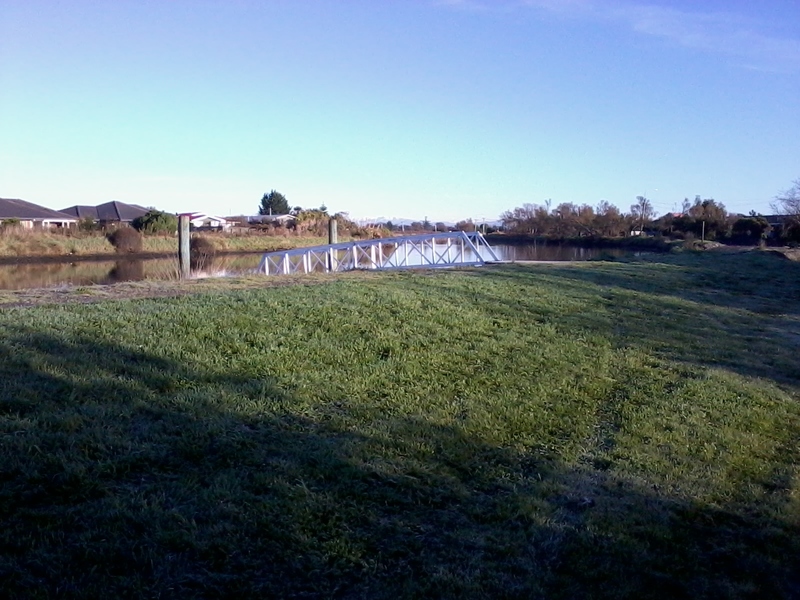 This morning the grass was almost frost-rimed in the goat paddock. Cold Schmold! At least it sends the snails packing for a while. We’ve just pedalled the groceries home after catching up with all the news (and dallying over lunch in Crema), checked on the animals, put the stores away and now it really is time for us to write this. ANIMALS! Of course, it would be rude not to update you on Miss Geraldine’s status with regards to her imminent happy event. 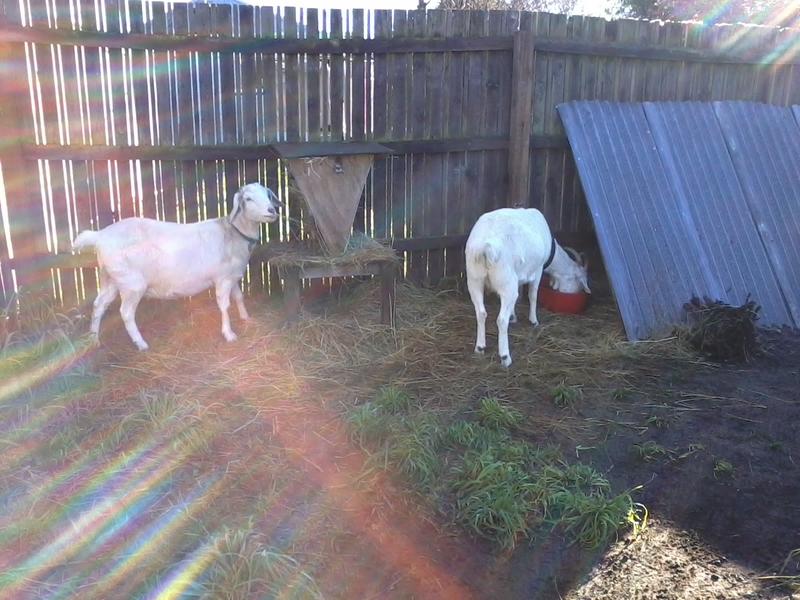 After displaying all the tell tale signs of a kidding doe as documented on our goatie guru’s website, Fias Co Farm, she now seems happy to bask in the stepped up attention she is receiving (not to mention the extra hay rations) and revert to contented, sun bathing, gestating goat. The Farmer, who is seldom home during daylight hours, finally dragged his gumboots down to the paddock, torch in hand, last night and informed us that she is still about a month out, “by my reckoning”. He didn’t actually say that last bit, but we thought it sounded appropriately farmy. But first, we must share the news of our latest acquisitions. In the interests of getting those kilowatt hours down (as discussed in in The Defense of Abnormal) and because the last, stupidly fragile, plastic crap, discontinued line (deep breath, let it go, picture your happy place…) fridge shelf finally went the way of its shelfy companions (namely into two equal halves), we decided it really was time to update the Homestead refrigeration devices. Much research pointed us in the direction of the wonderful people at Low Energy Refrigeration and the Danish low energy brand, Gram. On Tuesday we took delivery of the most beautiful (if you’re into that sort of thing) fridge and freezer. Get this: we’ve now upped our cold stuff capacity from 184 litres freezer and 217 litres fridge to 298 and 400 respectively, while cutting the energy usage from 978 to 494 kilowatt hours per year! This, plus downsizing our computer to a laptop with removable hard drive and using lamps rather than down lights in the main living area has already impacted on our power bill and the number cruncher Homesteaders tell your humble scribe this is exceedingly good, requesting the following graph be shared with you. The other new thing on the Homestead this week had way less fiscal impact but is every bit as exciting. In one of those “free to a good home” piles of goodies that appear on the footpath with way more regularity since the earthquakes, a mini trampoline was spotted. 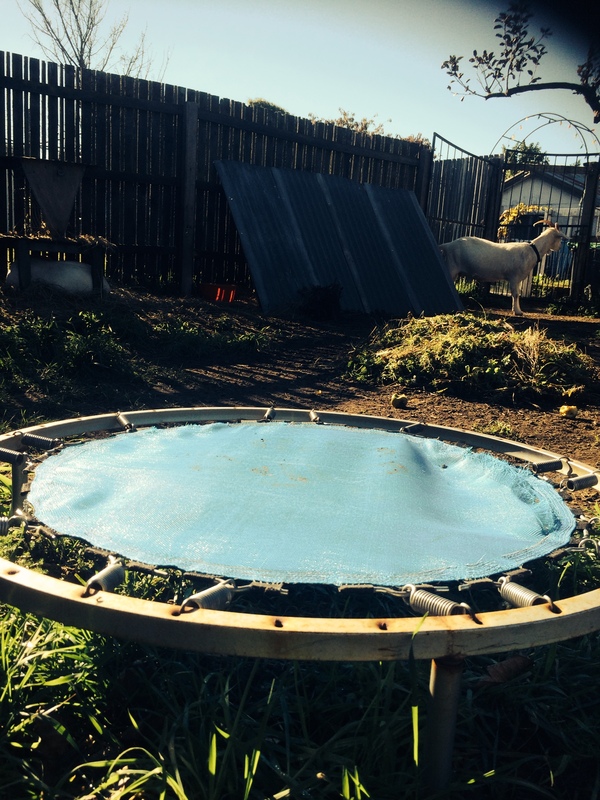 We have it on very good authority that goats, kids in particular, love trampolines, so it now graces the paddock where the two goats have studiously ignored it and the Milk Maid has discovered there is a very good reason gumboots are not mandatory gymnastic apparel. But not before we’ve mentioned the launching of the Change Our World in 28 Days campaign as mentioned in The Fine Art of Surfacing last week. If you haven’t already, please take a peek at SURF New Brighton’s website to see what’s creating a real buzz in our neck of the woods. This weekend we ate Ed. Yep, we finally stopped talking and started walking. We’ve been going on about the whole No Passengers thing for long enough and Ed the drake was a passenger personified (or should that be poultrified?) so after much discussion and planning he was dispatched by the Bean Counter with Farm Girl’s supervision (she insisted on observing) on Saturday morning, butchered by The Goat Herd and Milk Maid on Saturday afternoon (for anyone considering this sort of thing, we recommend this website for easy to follow, unambiguous, step by step instructions), and consumed by all with the exception of The Farmer (who is still dealing with this aspect of the whole deal, but is one of the loudest opponents to the Homestead becoming vegetarian) with surprising gusto. How do we feel about it? Killing is not something that sits comfortably with us but conversely the majority of us are not prepared to forgo meat in our diet. At the end of the day, Ed was swiftly dispatched with respect, by people who cared, after a very happy life spent eating, foraging, hanging out with his ducky harem and indulging in the drake equivalent of carousing 24/7. Unlike the meat industry, there was very little waste involved in the process. A wholesome batch of stock is now stashed in the new freezer along with the liver (hello pâte!) 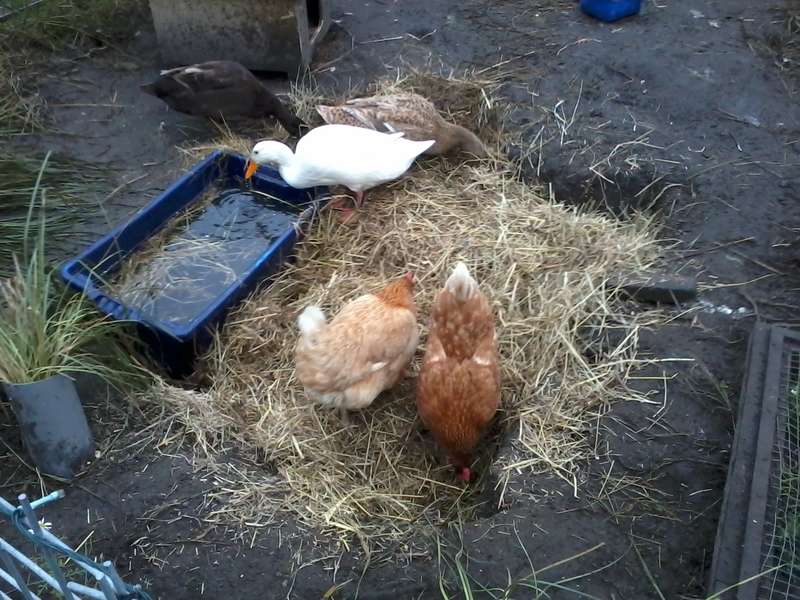 , the fat is awaiting the next soap making (we know it makes wonderful eating, but there’s a few cholesterol issues to be addressed), Mel and Dave the cats enjoyed the heart and kidneys, and the Milk Maid is in the process of creating a duster from wing and tail feathers. We’re pretty proud of all that. We’ve also become really aware that you can’t just keep on keeping animals. When you have limited space and resources, it has to be used sensibly. 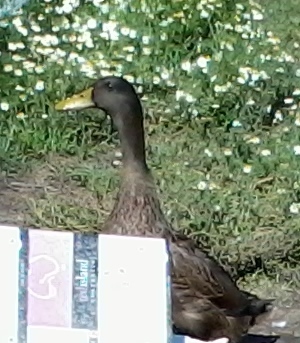 There is no market for mixed breed ducks so he couldn’t be sold. The farm did not need another drake, even if the drake heavies would have allowed his reintroduction. And really, it just rings true with the circle of life ethos we are attempting to follow. So, did he taste good? Oh yes, yes he did. And would we do it again? Without question. But not without a bucketful of respectful solemnity and with one teensy, tiny, little difference. Next time, we wouldn’t be so fast to name our main. 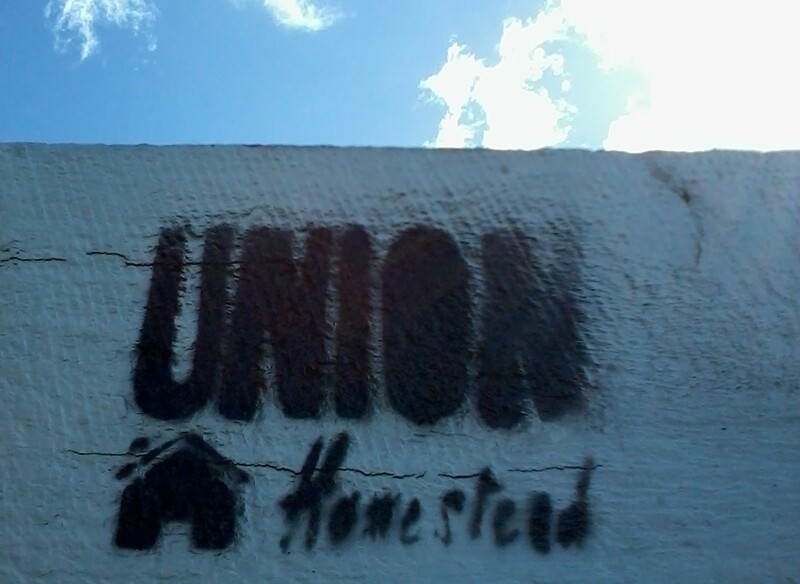 This entry was posted in Union Homestead and tagged Aotearoa, autumn, Change the World in 28 days, Christchurch, cooking duck, country house, country life, Crema Cafe, Dining out, drakes, ducks, eating meat, eco, eco-friendly, eco-living, energy efficiency, farm, Food, frost, garden, gardening, goat on trampoline, goats, Gram appliances, lifestyle block, living simply, New Brighton, New Zealand, Otautahi, paleo, poultry, power saving, procrastination, simple living, small holding, Strategic Urban Rejuvenation Force, sunny days, SURF, SURF New Brighton, urban farm, Vegan, Vegetarian. Bookmark the permalink. What a score with the trampoline! You must promise to post a video of the kids playing on it. Please? 🙂 I’m sure you gave Ed a happy life while he was here. Hoping you will include a post on the soap making, too. I assume it will be made with goat’s milk?